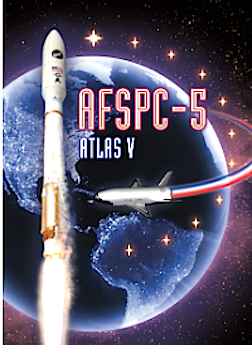 [SatNews] The AFSPC-5 mission indicates a launch no earlier than May 20, 2015, from Space Launch Complex (SLC)-41 at Cape Canaveral Air Force Station, Florida. The launch will be delayed two weeks to resolve an undisclosed issue with the payload, United Launch Alliance officials announced Friday. The mission is in support of the national defense. Built modularly with flight-proven elements, Atlas V has followed a carefully executed program of incremental improvements resulting in 100 percent mission success. Providing our customers maximum flexibility, capability and reliability has been the foundation of the Atlas program, which has logged more than 600 launches to date. The Atlas V family, which includes the Atlas V 400 and 500 series, are the latest evolutionary versions of the Atlas launch system. Atlas V uses a standard common core booster™ (CCB), up to five strap-on solid rocket boosters (SRB), an upper-stage Centaur in either the Single-Engine Centaur (SEC) or the Dual-Engine Centaur (DEC) configuration, and one of several payload fairings (PLF). A three-digit (XYZ) naming convention is used for the Atlas V 400 and 500 series.